Creating Visual Designs that will “WOW” Your Customers is Your Most Powerful Sales Tool. 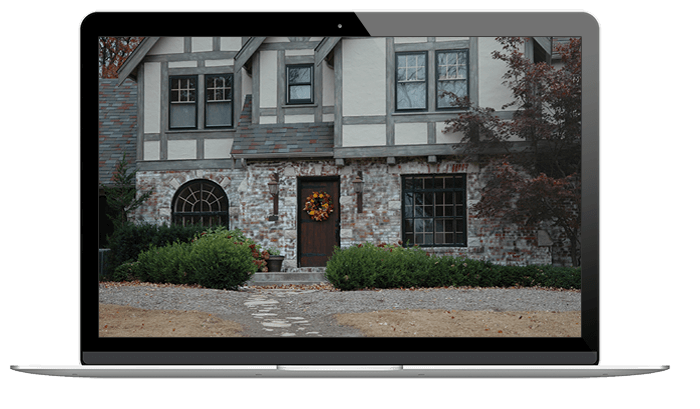 Visually communicate design ideas to your customer using pictures of their own house. 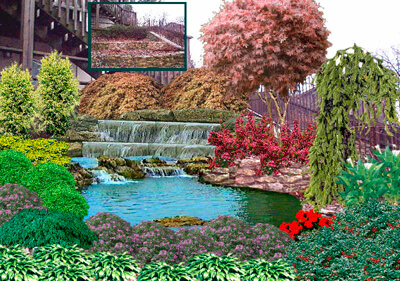 PRO Landscape includes the largest and best image library with over 18,000 high quality photographs of plants by climate zone, hardscapes, water features, statuary, outdoor kitchens and fireplaces, and much, much more. And of course you can easily add your own objects to the library. 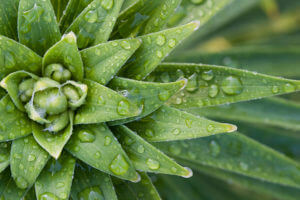 The image library includes detailed information about each plant that you can provide to your customers, including both common and botanical names, climate zones, flower color, flower season, description and more. 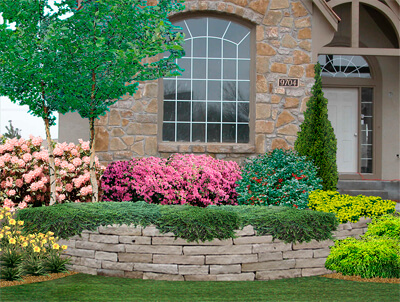 Take a picture and start creating your landscape design immediately on new construction projects. 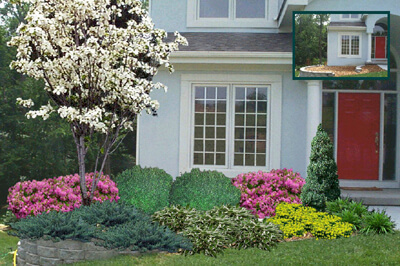 Use easy, powerful cloning tools to cover up existing landscaping before creating your new design. 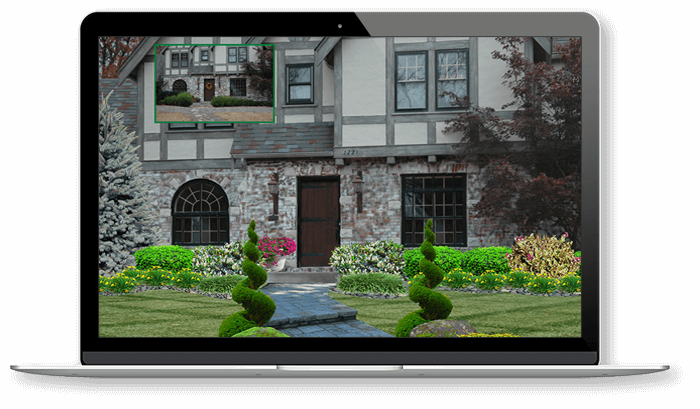 PRO Landscape is Packed with Powerful Imaging Features Designed to Save You Time and Money. 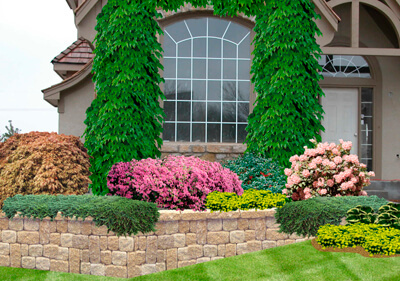 Draw retaining walls to any shape, even slope a wall into a hill. Or create custom pavers in any shape and tile pattern! 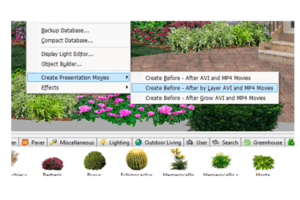 Save time by transferring your plant pictures to CAD symbols right on your drawing. With a shared database any changes you make to an object such as sizes or pricing are shared between photo imaging, CAD, proposals and your tablet app. 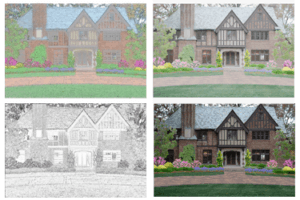 Create complete proposals from your photo imaging designs with a single mouse click! 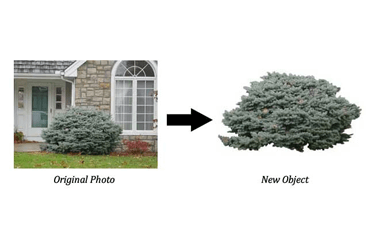 Take a picture of anything and add it to the image library. 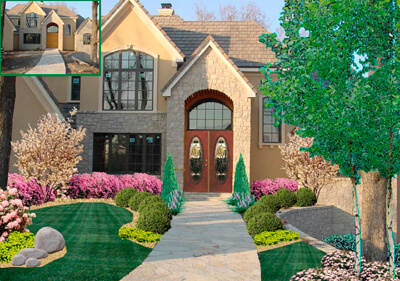 PRO Landscape includes tools to help you cut out the background of the photograph so the object you add will blend perfectly with the new landscape. 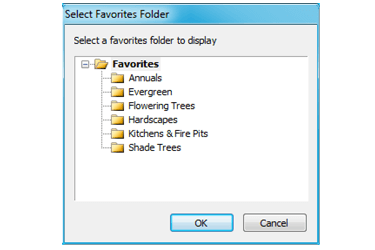 Create you own favorites for fast access to the objects you use most often. Search by common or botanical name, or by any attribute. For example, looking for a deciduous shrub that takes full sun and has red flowers in the spring – simple! Create your own before and after movies in seconds that will surely impress any customer. 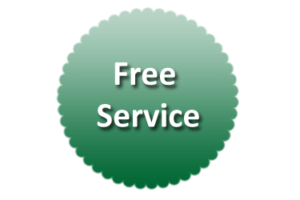 If you don’t want to crop the background from pictures you want to add we offer a free image service. Just send us your pictures, we’ll cut them out for free and send you back the cropped images that you can add to your library. Itʼs easy to show your customers what the project will look like one to 10 years from now. 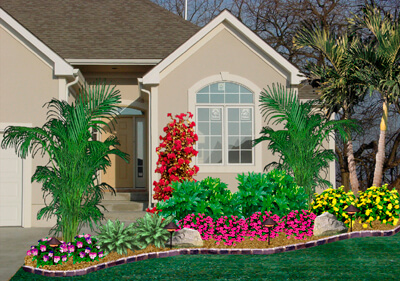 You can even “grow” the plants in the negative direction to show them what it will look like when they are planted, enabling you to make sure your customer understands exactly what it will look like the day the project is installed. You can even change the growth speed of any plant to get the most accurate effect possible.